The Orzly Fusion Case Blue OnePlus 6 protects your OnePlus 6 perfectly without compromising on design. Made of a fusion of a hard plastic rear panel and a durable rubber side for perfect protection and grip. Made from Polycarbonate and TPU, this Orzly Fusion Case Blue for the OnePlus 6 gives the best protection for your mobile phone. The side, the TPU part, is soft and rubbery. This gives next to a good grip also a perfect protection against drops, scratches and bumps. The polycarbonate back, which is also transparent, provides further protection at the back without losing the design of your OnePlus 6. The inside of the Orzly Fusion case Blue is finished with a special coating that ensures that the case does not scratch on your OnePlus 6. Of course, all buttons and ports of the OnePlus 6 have also been taken into account. make sure you can easily access anywhere. Replacing a display for the OnePlus 6 can go a long way in the paper, so protecting your display is just as important. 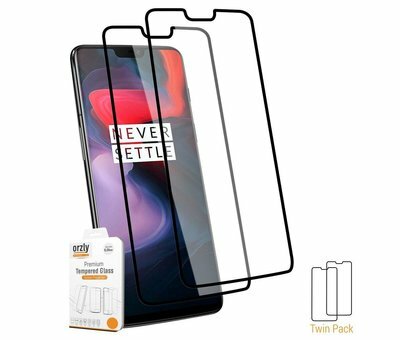 Combine this case with a 9H glass screen protector for the OnePlus 6 by choosing one of our bundles below. Maximum protection at an economical price. Mooi design. Goede grip en goede bescherming.